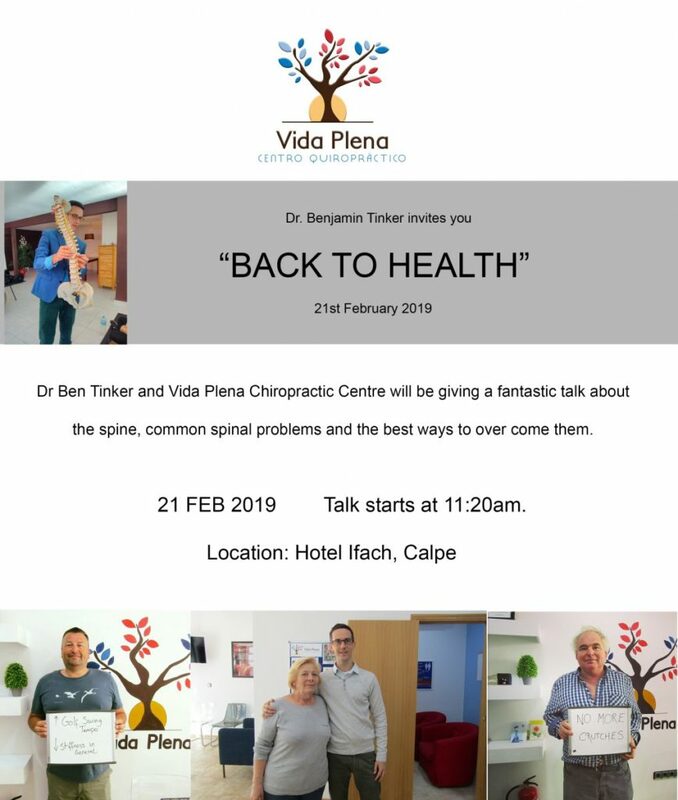 BACK TO HEALTH – Dr Ben Tinker and Vida Plena Chiropractor Center will be giving a fascinating talk about the spine, common spinal problems and the best ways to overcome them. Previous ArticleBodega Visit with wine tasting and lunch. Next Article DAY TRIP La Fuente – Banos de Fortuna.